MAN Diesel & Turbo’s two-stage turbocharging development project, ECOCHARGE, recently passed a significant milestone on its way to a successful market introduction. 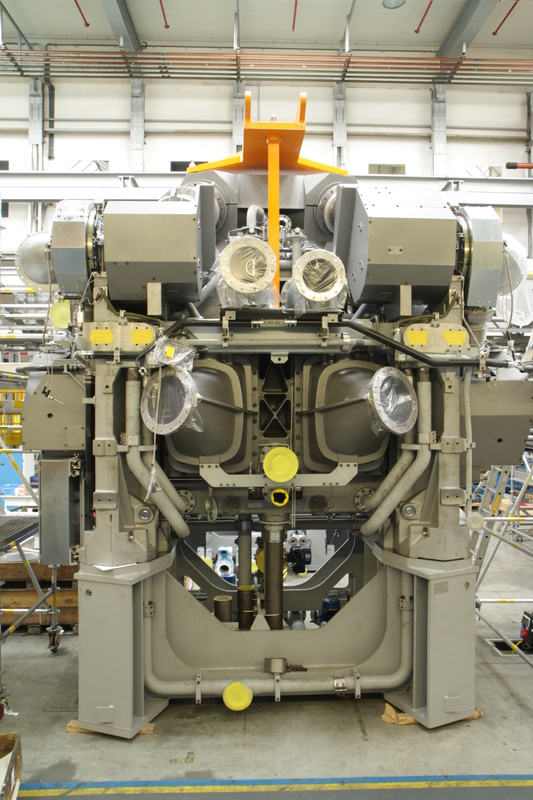 The company reports that individual MAN TCR20 and MAN TCX17 units – combined as a single, two-stage turbocharging system – has had a first run on an MAN 12V35/44 gas engine on a test bed at its Augsburg, Germany works. The company reports that the ECOCHARGE system has been developed for both gas- and HFO-burning engines. Now that the TCX series has proven its strengths and functionality on the burner rig, the new ECOCHARGE system will run over the coming months on the engine to prove its strengths and functionality. The test is the first real opportunity to prove the thermodynamic calculations on an engine, which is key to a successful field test. MAN Diesel & Turbo sees great potential in two-stage turbocharged engines, which can be seen in the spate of recent orders for such solutions. Two-stage turbocharging differs significantly from single-stage turbocharging in that it also copes with the demands of a high-pressure stage. The MAN TCX turbocharger has been especially developed for two-stage turbocharger applications. The combination of a MAN TCR20 – for the low-pressure stage – and an MAN TCX17 – for the high-pressure stage – offers significant potential for today’s demand for more economical and environmentally-friendly engine operation. 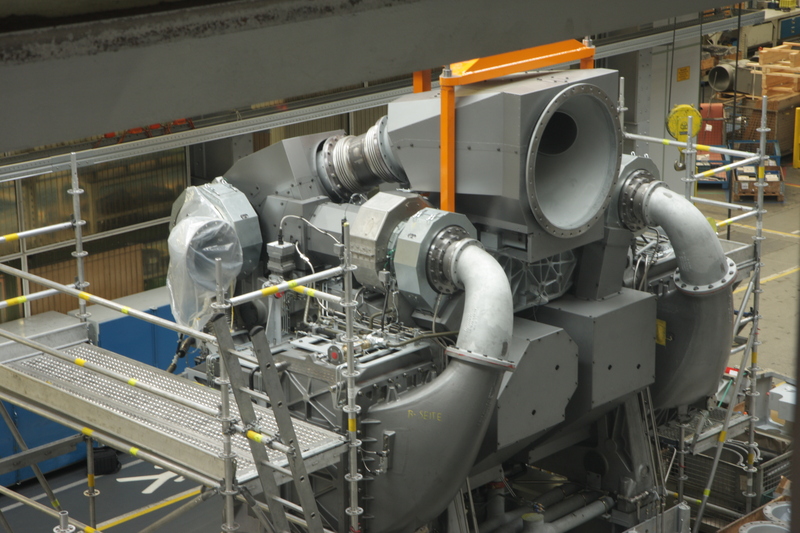 This is because two-stage turbocharging supplies engines with improved scavenging air pressures ranging from 5 to >10 bar, as well as significantly improved turbocharging efficiencies. MAN ECOCHARGE offers major benefits for engine builders. The increase in turbocharging efficiencies, in comparison to single-stage turbochargers, is mainly related to the intercooler – positioned between the low-pressure-stage and high-pressure-stage turbochargers – that significantly reduces the energy required to compress the intake air to high pressure. The resulting, higher efficiencies have an instantaneous impact on the engine by advantageously increasing the air pressure over the cylinder during the scavenging process. Additionally, greater turbocharging efficiency fosters the reduction of NOx emissions through the Miller cycle while the improved scavenging efficiencies provided by the ECOCHARGE system make the engine more fuel efficient. Engine builders can profit from two-stage turbocharging with regard to power output and engine size. The higher power-density generated by the ECOCHARGE technology presents the opportunity to choose between significantly boosting an engine’s power output or reducing engine size, all the while maintaining an excellent engine performance. The ECOCHARGE system’s increased efficiencies and higher cylinder rating facilitate the use of a smaller engine with the same power output of a larger unit using traditional, single-stage turbocharging.